Ah, sixties dance music and those sixties dances — and The Monkey was one of them. It was popularized by Major Lance’s “The Monkey Time” and “Mickey’s Monkey” by Smokey Robinson & The Miracles. 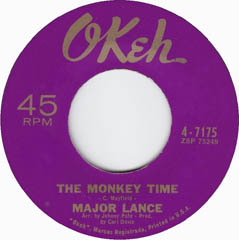 “Monkey Time” was written by singer/songwriter/producer Curtis Mayfield and was Lance’s first hit. In 1963, the song went to #2 on the R&B chart and #8 on the Billboard Hot 100. Major Lance grew up in north west Chicago, and Major was his given name, not just a professional one. He went to school with Curtis Mayfield and Jerry Butler, who were part of the group The Impressions at one point. 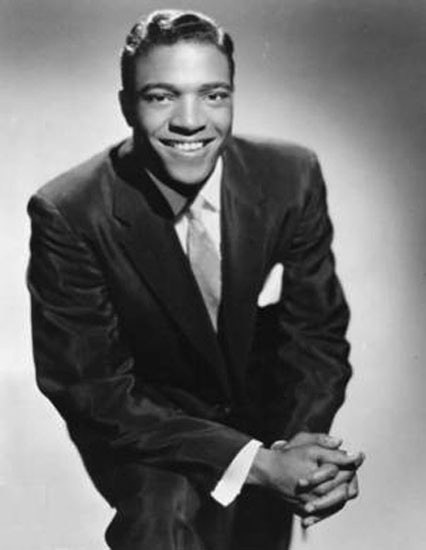 In 1962, Lance signed with Okeh Records on Mayfield’s recommendation. Lance’s first single “Delilah” was not successful, but it established his partnership with a writing and arranging team of Mayfield, Carl Davis, and Johnny Pate, as well as with members of The Impressions on background vocals. 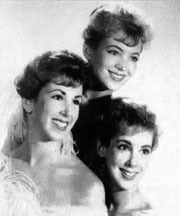 Together they developed a distinctive, Latin-tinged music, which was part of the Chicago sound. Please click here for the Daily Doo Wop YouTube channel, to which you can subscribe. Thank you for stopping by The Daily Doo Wop. Hope you enjoyed “Monkey Time” by Major Lance. Can somebody help me, I’m looking for other enterpreters of You can dance from the Turbans.